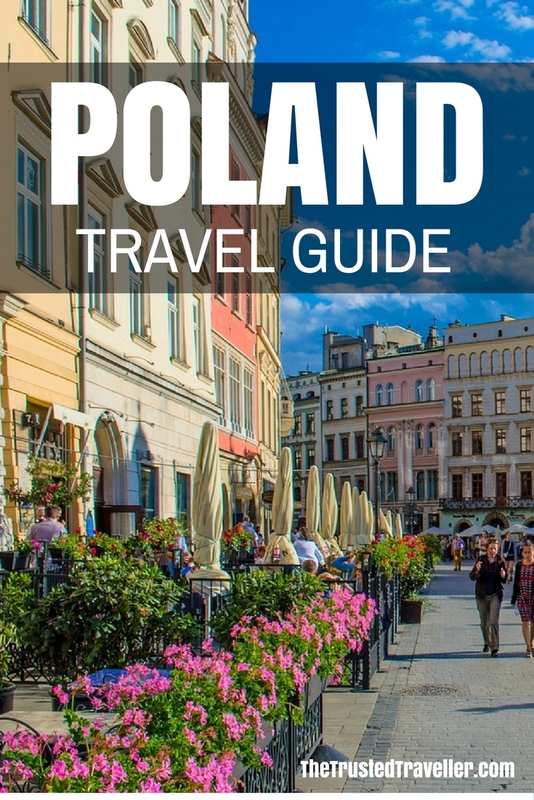 This Poland Travel Guide aims to provide you with simple and stress-free travel planning information and inspiration for planning a trip to Poland. Currency: zł Złoty which is made up of 100 groszy. Coins come in 1 groszy, 2 groszy, 5 groszy, 10 groszy, 20 groszy, 50 groszy, zł1, zł2 and zł5 denominations and notes in zł10, zł20, zł50, zł100 and zł200 denominations. Poland, located in Eastern Europe is bordered by Belarus, Czech Republic, Germany, Lithuania, Ukraine and the Russian province of Kaliningrad. The Baltic Sea occupies the coastline in the north of the country. The northern coastal area spreads 525 km with sandy beaches, steep cliffs and quaint seaside towns. Just south of the coast the area is dominated by lakes and forested hills that join rivers and canals to the sea. 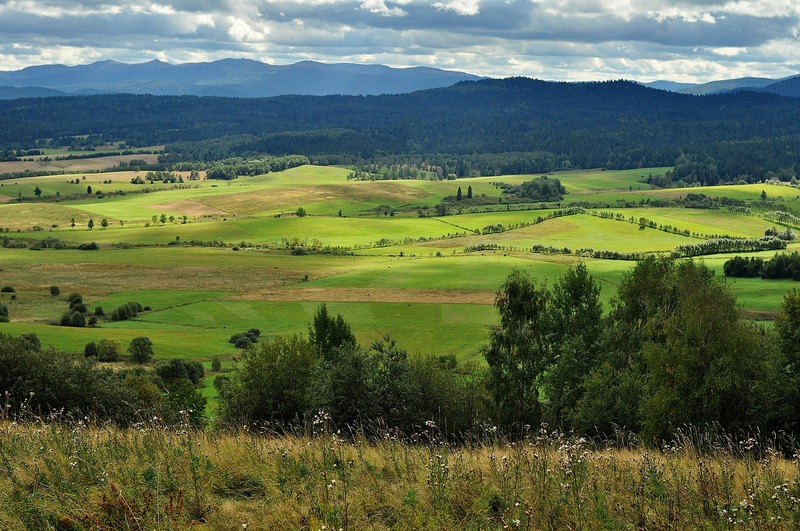 As you head further south, the landscape begins a slow rise ending at the Czech border where you will find the Sudety Mountains which join with the Tatra Mountains. 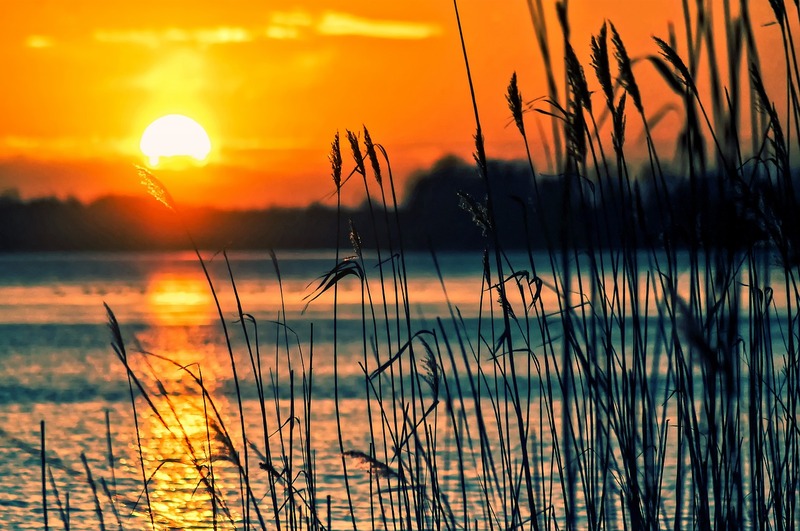 Poland has a temperate climate with hot summers, cold winters and shoulder seasons (spring and autumn). Rain falls reasonably even throughout the year. Poland is a year-round destination and you should plan your visit based on the types of activities you wish to enjoy. To avoid the heat at the height of summer, visiting in May/June or September/October is best. The weather is still warm and the crowds of prime summer time have cleared. This is also a great time for hiking in the country’s many national parks. 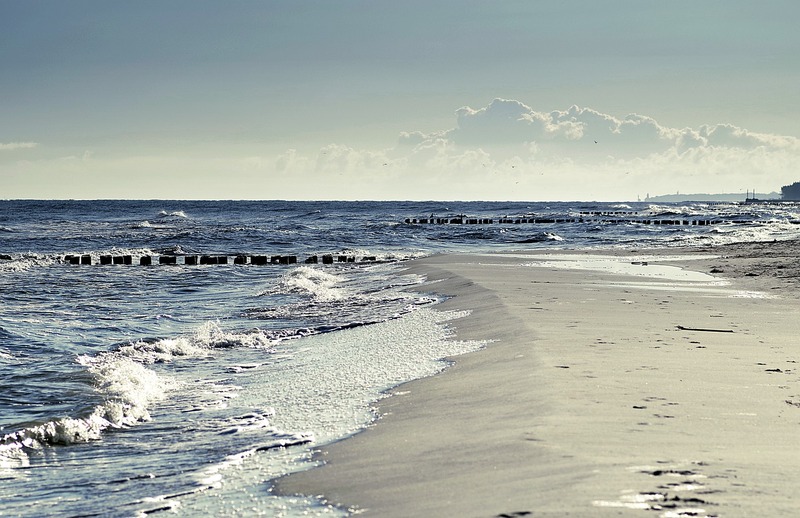 To enjoy the Baltic Sea beaches, you will need to brave the crowds and visit from June to August to get the best water temperatures. 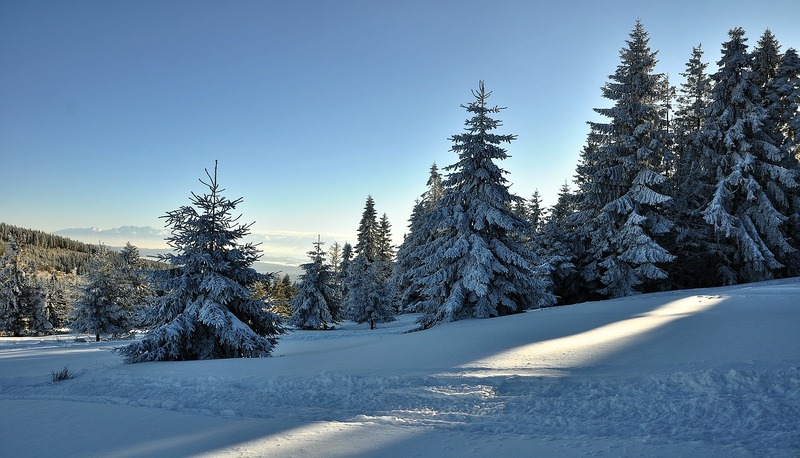 If you are wanting participate in winter sports such as skiing, then you will want to visit from November to March when it is cold and there are frequent snow falls in the mountains. It is always recommend to have a mixture of cash and bank/credit card with you when you travel anywhere in the world and this is no exception in Poland. Getting to Poland from surrounding European countries is simple, quick and cheap by bus or train. You can find out more about rail travel in Europe, including purchasing tickets, on the Rail Europe website; and about bus travel on the Eurolines website. 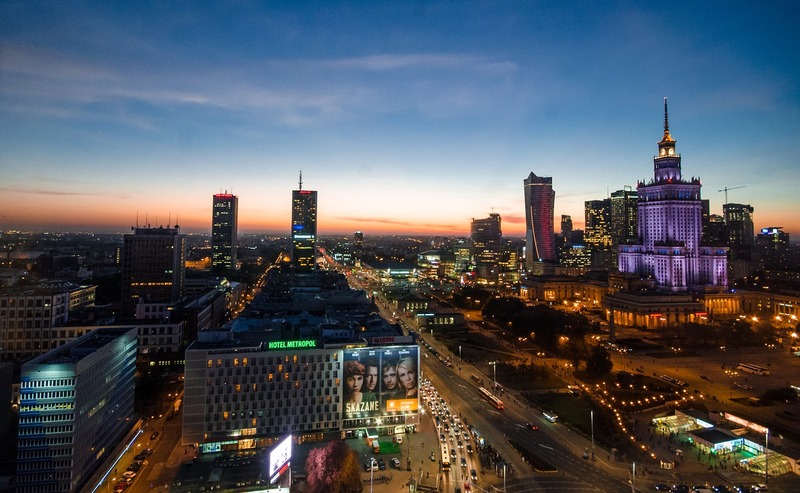 Poland is also well-connected by air with flights arriving in Warsaw and other cities from all across Europe and the UK and parts of the US, Middle East and Asia. A flight from London to Warsaw will take around two hours and 20 minutes and a flight from New York about eight hours. Poland is a relatively small country so getting around it is pretty simple and cheap. Europe’s excellent network of trains means that getting around Poland and in fact to/from other European countries is the most timely and cost-effective way to travel. All the major cities are connected to one another and you will find that most regional areas are well-connected to at least one of two of those major cities. 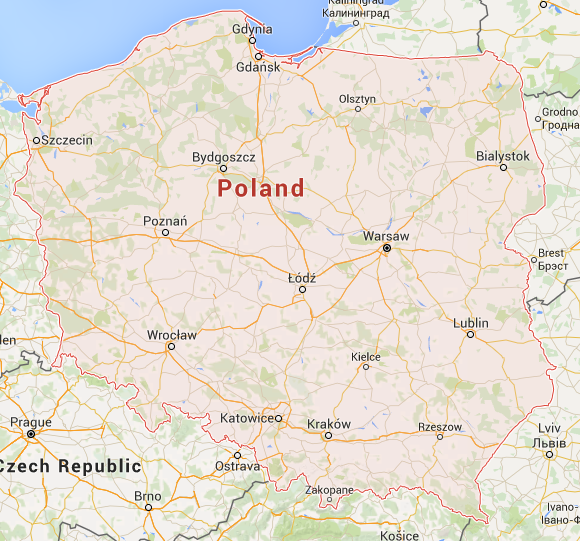 Because Poland is a relatively small country, it is easy to navigate if driving yourself. The roads in Poland are generally well maintained and easy to navigate because they are well signposted. During the winter months remember that weather conditions can change rapidly especially on roads going through the mountains. Be sure to obey all signs and drive with care in slippery conditions. Camping/Cabins – With Poland being a very outdoorsy country you’ll find lots of camp grounds that offer tent sites and basic cabins as low costs. 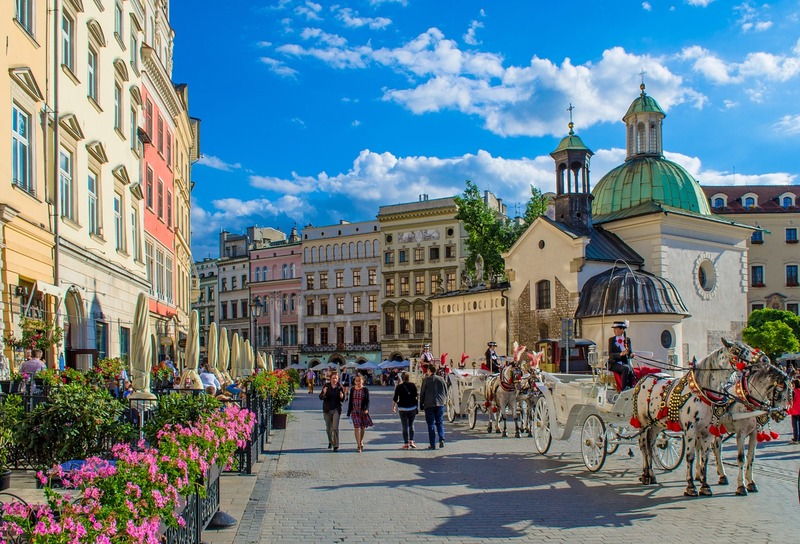 And as with a lot of other European cities, you’ll also find large camp sites on the outskirts of big cities like Krakow that you can stay at cheaply and commute each day into the city for sightseeing. Hostels – You’ll find hostels in abundance in the Poland’s bigger cities and one or two in most other regional areas as well. Quality can vary so do your research. 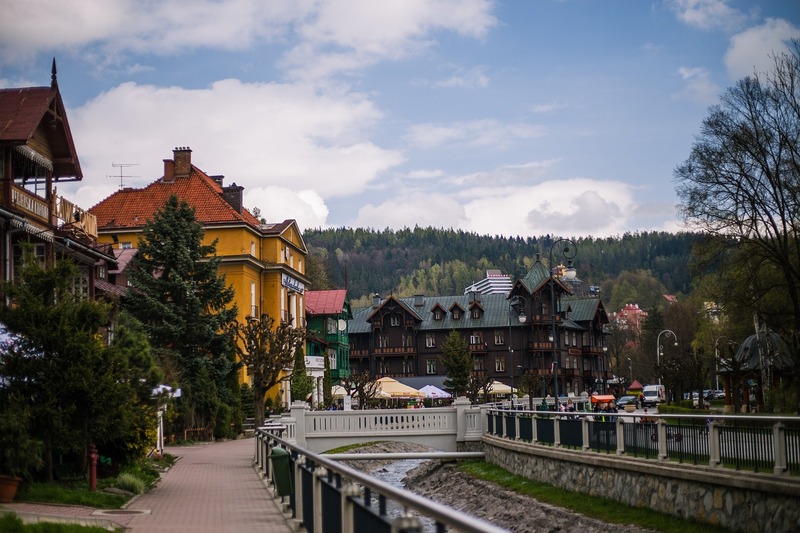 Luxury Hotels & Resorts – Poland has its fair share of 5 star properties, some of which have been named in top lists of accommodation around the world. These will offer you brilliant service and a top location, sometime with incredible views of the surrounding area. Poland has a variety of eating options that will suit all budgets and tastes. While you will find the majority of its restaurants and cafes serve local and European dishes, the country is expanding and becoming more multicultural with its cuisine offerings. Cafes – Coffee, delicious sweets and tasty sandwiches will be on offer for sit down or takeaway. Restaurants – Portion sizes tend to be on the larger side in Poland so eating out in restaurants can be really good value. Consider sharing a meal with a travel companion if you’re not too hungry to save money or sticking to one course. Fine Dining – Poland has it’s fair share of the worlds best restaurants so if it is fine dining experiences you are after then you won’t be disappointed. Here is a constantly growing collection of resources from around the web to help you plan you dream trip to Poland. 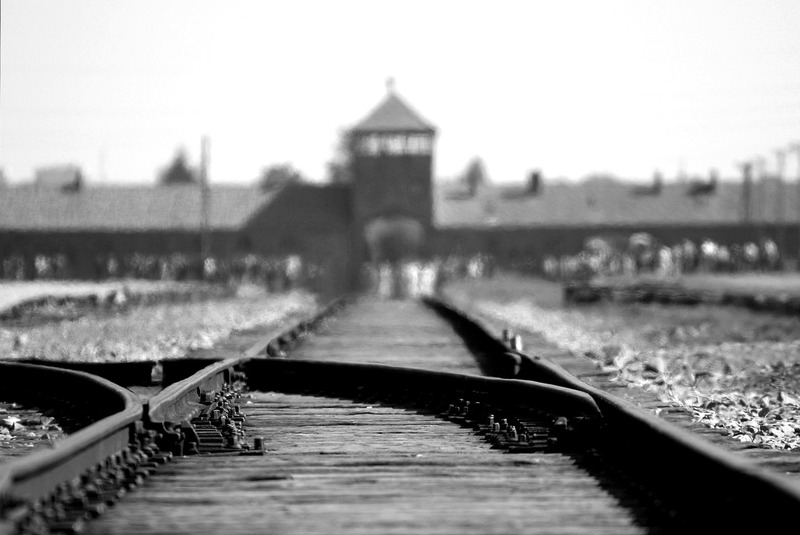 The official Poland Tourism website is a great place to start planning your trip. The authority in all things travel, Lonely Planet has an extensive section all about Poland. 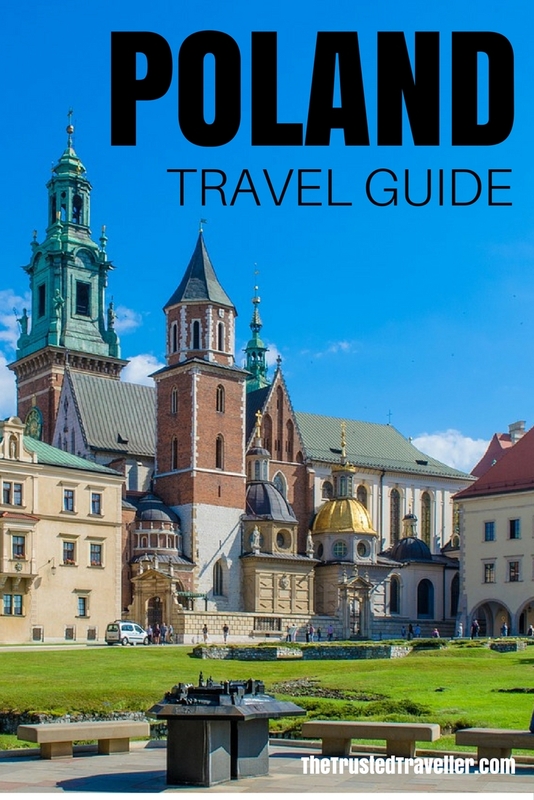 Or why not buy the Poland Lonely Planet Guidebook in hard copy or as an eBook.